Hi everybody! 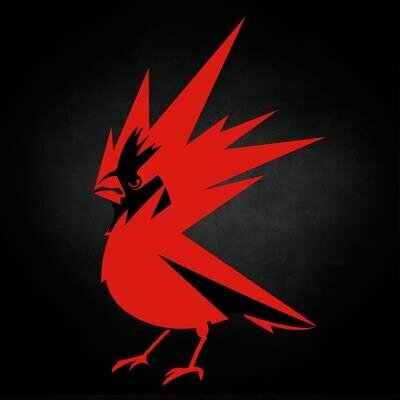 My name is Konrad Tomaszkiewicz and I’m a Game Director at CD Projekt Red, here to tell you more about The Witcher 3: Wild Hunt Complete Edition, coming to PS4 on August 30. The Witcher 3: Wild Hunt, both of its expansion packs, and all the additional content we’ve released for the game are the result of five years of hard work that everyone at CD Projekt Red has put into creating a fitting conclusion to the story of monster hunter Geralt. Geralt is a character that has become near and dear to our hearts, and the hearts of millions of gamers around the world. Having earned more than 800 awards, including more than 250 Game of the Year awards, The Witcher 3: Wild Hunt is the most awarded game of 2015. We’re proud of that, and humbled by the game’s reception. But even though The Witcher 3 has been out for some time now, there are still players who haven’t played it yet, or have been waiting for a single package… and that moment has come. The Complete Edition houses all three chapters of Geralt’s final adventure. 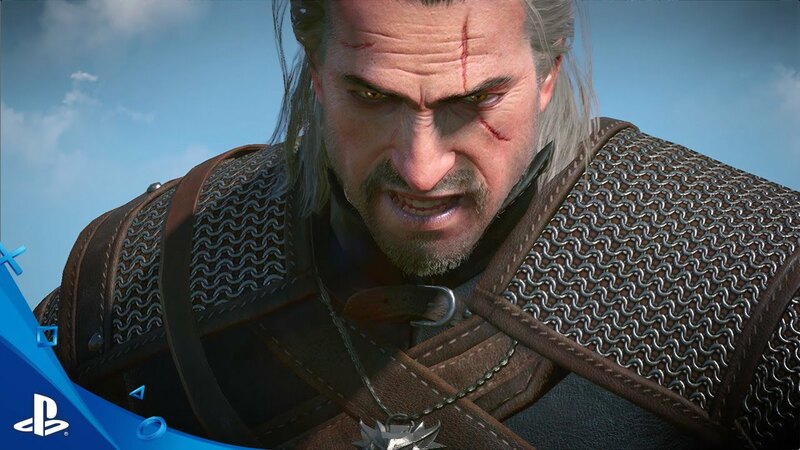 You will track down the child of prophecy across a war-torn world in the original Wild Hunt, face off against a seemingly immortal bandit leader in Hearts of Stone, and, in Blood & Wine, travel to the beautiful land of Toussaint only to discover the not-so-pretty secret it hides. Put together, it’s 150 hours of open-world adventure full of action, exploration, difficult choices, and brutal consequences that will shape the world and hundreds of characters within it. Alongside new storylines, the two expansions make sure there’s more of everything in the game. The highlight is a brand new region and new areas to explore, expanding the world by more than a third. With a bigger world come new side-quests to engage in, enemies to defeat, and points of interest to discover, hiding powerful equipment. There are also new features expanding character progression, with Runewords and Mutations allowing players to alter their abilities to great effect, both in combat, as well as outside of it. All of the free DLC packs we’ve released since launch to thank players for their support now come already packed with the Complete Edition of the game. These include new weapons and armor hidden in the world, a New Game+ mode that will further challenge your monster hunting skills, even more Gwent cards, and additional outfits for Geralt’s companions — among others. And they’re all immediately accessible as players traverse the lands of The Continent. After launch, we took a lot of time to improve the game significantly, and many of these improvements came from player feedback. One such improvement, and a major one at that, now available from the moment you start your adventure in the Complete Edition, is a new user interface. Switching between signs and items during combat is now faster and more intuitive. A new inventory grouping system let’s you find what you’re looking for quicker. And because there are so many things to see and do in the world of The Witcher 3, the map now provides players with more markers and filter types to better plan their adventure. Featuring three massive adventures in one package, a huge open-world that is now bigger than ever, more of absolutely everything the game offers, every piece of downloadable content, and all updates and improvements ever released, The Witcher 3: Wild Hunt Complete Edition truly offers the ultimate Witcher 3 experience. Before I sign off, however, I wanted to thank the amazing community that gathered around our game and supported us over the years in our efforts to create the best RPG. For that and so much more, from everyone at CD Projekt Red — thank you! Such a great game hopefully we see Witcher IV after Cyberpunk 2077! I 2nd this as I have only finished The Wticher. Assassin of Kings was never on a PS console so that would be stellar to be able to go back and play that. Thank you for such a good game. I am so glad I got to play it! Does it register as a different game in the trophy list from the original disc and DLC? I would love to play through this amazing game and all its DLC again and getting trophies on top of that would be nice. Absolute best game there is!! Sounds good, how much will it be? Despite how CDPR ruined the game with patchs Witcher 3 is still the best game ever made…whoever didn’t played it yet is in for a helluva deal,there are no words to describe the game’s greatness and its DLCs are the true meaning of DLC also the best ever made.This edition is worth alone because the patchs already inside the disc. PS:Can’t believe you’re calling that mess you made with the UI “improvement”…thats the worst thing you’ve ever done in the game…completely ruined the UI and as always made unnecessary changes only to ruin the game. Aren’t the patches fixed on the original copy? Konrad I respect that your working on a brand new video game. but seeing how Witcher 3 was your best game yet. any chances or have you at least thought about releasing Witcher 2 ( maybe far back as 1 ) too PS4 since we never got W2 on PS3 ? If I hadn’t recently bought the game already on PSN during a sale (I feel like I stole it given the price to gameplay ratio) I’d be all over this. Still haven’t gotten around to picking up the paid DLC yet, but it’s definitely in my queue. Witcher 3’s final few missions were my favorite. Haven’t played the DLC yet. I really want to. Would you guys consider putting the season pass on a nice sale with the release of the complete edition? This is a guaranteed buy from me. Is the interface update the same from the patches (e.g., 1.20), or something new to this edition? If it’s new to this edition, will it be available via patch to the original release? Awesome game! One of the few Game of all time on my collection/ library. Konrad… The Best way to get me to spend more money on this “complete” edition was to include Everything on Disc + Neo mode And All Gwent decks/cards for the ultimate collectors edition. I would love to have a game where Ciri actually takes over as a witcher. Playing as her for the short time in Witcher 3 was really fun and made wonder what it would be like to experience her story. I hope that The Witcher 3 does not come with a download voucher for the expansions. Will Wild Hunt and the expansions be on one disc or two discs? Meaning disc one for the main campaign, and disc two for both expansions? Also please bring Photo Mode to The Witcher 3, this game is gorgeous and deserves a Photo Mode. A truly incredible game! Enough said! Thanks for the awesome new edition, I’m always the idiot who buys things day 1 and now for 10 bucks less I could have the obsolete version I own plus the DLC! Is the complete edition going to be avalible on the Playstation Store, or stand alone disc only? Im confussed. Is there any difference except the DLC being included? It says new interface etc I dont see that on my old original version.